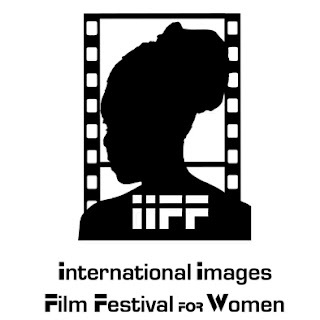 The International Images Film Festival for Women (IIFF), the only annual women’s festival South of the Sahara [at its inception in 2002], this year celebrates its 10th anniversary. Women Filmmakers of Zimbabwe (WFOZ) is inviting you and your organization to make IIFF 2011 a special celebration for the festival, its beneficiaries and the women activists who run it. IIFF was founded in 2002 by WFOZ in response to the proliferation of beauty contests at that time in a bid to unpack the notion of women as beings to be observed through the male gaze. Under the theme Women With Goals, this year, the festival takes place from November 18 to 26 in Harare and from December 1 to 3 in Bulawayo. WFOZ invites you to celebrate with them their biggest achievement of a decade of film screenings where the lives of mothers, sisters and daughters have been portrayed in a positive and enriching way as IIFF turns 10. The theme for this year’s festival, Women With Goals reflects the United Nations’ Millenium Development Goals (M.D.Gs). As women cannot be removed from the development equation and are not only limited to goal number 3, the theme explores the goals women set for themselves and for society, challenges they come across and gaps that need bridging as far as those goals are concerned. Questions we are asking are: Can women achieve these goals, what prevents them from achieving these goals, how these obstacles can be overcome and how society reacts to gains made by women. Finally, the theme celebrates the success stories of those women who have set and attained their goals as an encouragement and challenge to other women to take action. These are women who do not believe in lip service but believe in walking the talk. While the film should have all the attributes of good cinema, including good production values and engagement values, it should also show some analysis of the woman or women featured. Production date is irrelevant, but the film must have a woman in leading role. Should you wish to participate but not be in a position to make a recommendation concerning a film, IIFF would be happy to undertake a search and provide a film to be approved by your mission. IIFF would only ask that the mission covers the costs of bringing the film to Zimbabwe and returning it to its origin. 35 millimetre feature films are automatically admitted into the main competition. The awards are especially designed by famous Zimbabwean artiste Glen Cable, popularly known in the arts circle as Funkie Loader whose depictions of women in iron appear to leap and embrace the world in exuberance. Betacam SP and DVD features, shorts and documentaries are also programmed in other categories. To ensure that your film receives the audience it deserves, and for inclusion in the festival catalogue, we request you to send as soon as possible a press kit which should include a short synopsis, technical details, major cast and crew list and stills from the film. To raise the profile of your entry further, posters would be appreciated. Finally, all diplomatic missions sponsoring films are mentioned in our catalogue. All missions and organizations supporting the festival in cash or additional kind are acknowledged with their logo in our catalogue and any other publications that may be produced from time to time. The festival is scheduled for November 18 to 26, 2011 in Harare and December 1 to 3 Bulawayo. In addition to sponsored films, we are also appealing for donations in cash or kind to continue the success of the festival. Our budget itemises the areas in which contributions may be made in cash or kind. This budget will be sent to you upon request should you be interested in contributing beyond the sponsorship of a film. The Festival Director, IIFF, Box BW 1550, Borrowdale, Harare.